The majority of your clients are probably extremely pleased with the service you’ve provided them. That’s good news, because it means they’ll likely recommend you to others and use your services again themselves. Client loyalty is one of your most valuable marketing assets, but you need to stay on a client’s radar if you want to reap the rewards. 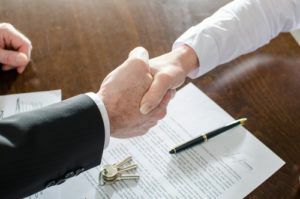 An agent’s work is never done, so the suggestion that your real estate client follow up plan may need a little work probably doesn’t come as a surprise. If you struggle to find the time to up your marketing game, it helps to think in terms of small improvements. With today’s wide variety of ways to stay in touch with clients, you can invest a modest amount of time each day into activities that will help boost future business. Try utilizing one of these tips per day and watch the returns roll in. Make your follow-up more than just “touching base.” Have a concrete objective in mind, be it obtaining an email address, booking an appointment or offering your client a piece of content. Don’t rely on phone calls or postcards alone. Today, you can contact a lead by cell phone, email and through social media. Use social media to reach out to clients, answering their questions, giving housing tips, etc. Not only will it keep you front and center with those clients, it will show the world that you care about the people you do business with. Invest in good CRM (customer relationship management) software that reminds you when to contact someone and refreshes your memory on what your last interaction was about. Talk with a customer retention and lead generating specialist who can help you automatically keep in touch with clients by sending personalized follow-up campaigns for you. Start improving your real estate client follow up strategy today. Clients who already know and trust you are your best marketing resource, so don’t squander this valuable method for growing your business. If you’re a real estate professional, do you have any tips to share that have improved your client follow-ups?